You know people crave experiences. And we design experiences that encourage your audience to engage in your messaging and your brand. 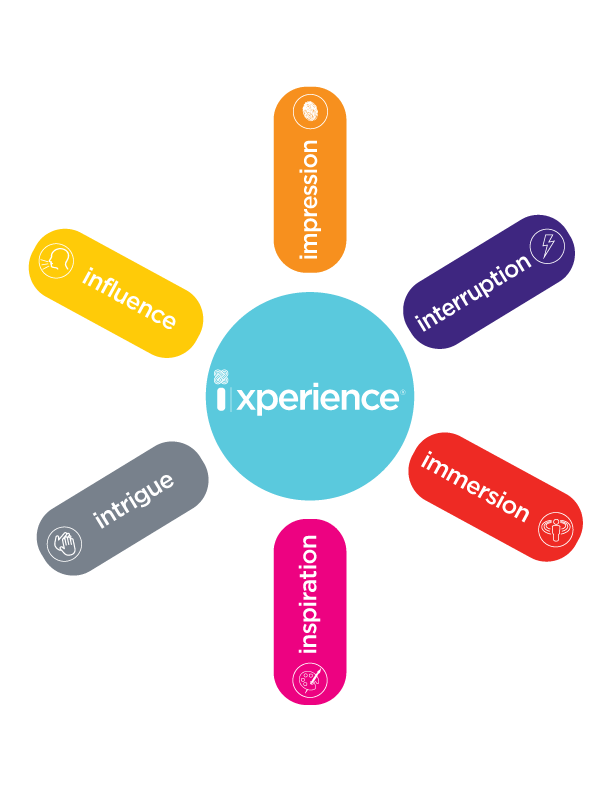 Tailored to the objectives of your event; our proprietary i|xperience® approach is designed to create the most impactful experiences that reinforce your content at every touchpoint. We help you focus on the participant journey, ensuring your audience experiences inspiration, intrigue, influence, impression, interruption, and immersion. inspiration – Create an engaging story that inspires and achieves the desired goals. intrigue – Lock-in and entertain your audience. influence – Change behavior by educating and motivating action. impression – Touch all five senses to fully engage participants. interruption – Transport participants away from the daily grind. immersion – Actively involve participants through interaction. Learn more about creating the ultimate experience with the i|xperience approach by reading our white paper. Let’s create an i|xperience together!